Join us for Easter! 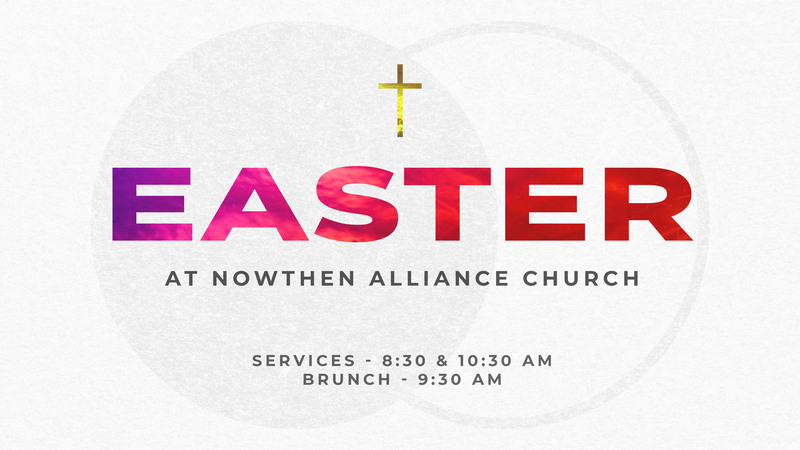 Whether you've never been to church before, attend occasionally, or call Nowthen Alliance your home, we’d love to have you join us for an Easter service and brunch! Students in both Junior and Senior high can connect with God, with other students, and with committed leaders that are dedicated to equipping students to find life and faith in Christ. The faith journey for believers in Christ is never constant. We find it is best to be doing it in relationship with other believers and in intentional relationship. We believe everyone can both feel comfortable and connect with Christ at Nowthen Alliance Church. We are here to equip you to find life and faith in Christ through our worship experiences, connections with others, and our learning and serving opportunities for the whole family.